Paradise Blush is a fantastic sasanqua. It has very fast upright growth, making it perfect for hedges and screens. 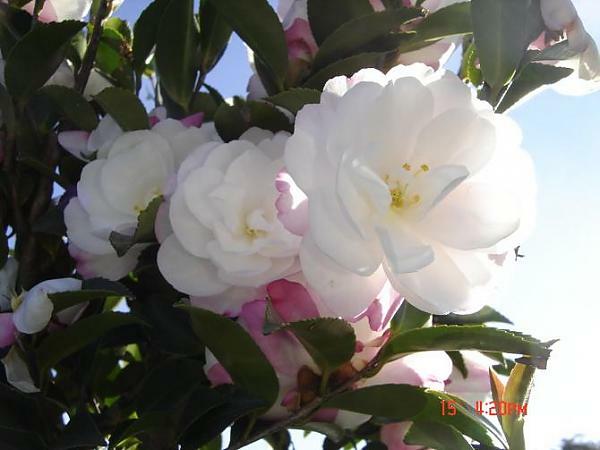 The flowers are produced profusely and are a gorgeous soft semi-double of white deepening to pink edges. Great in pots too. Recommended.